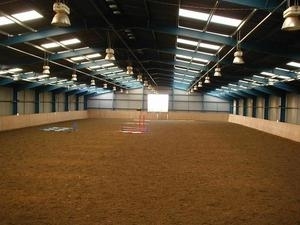 The large 60 x 40 indoor arena at the College is used for major competitions, local riding clubs, BHS Test location as well as for student teaching. It was one of the largest in the area when constructed. Landyke were chosen to help design the building and to handle the planning permission application as the College Management Team knew Landyke to be one of the few consultants with specialist equine knowledge and experience.